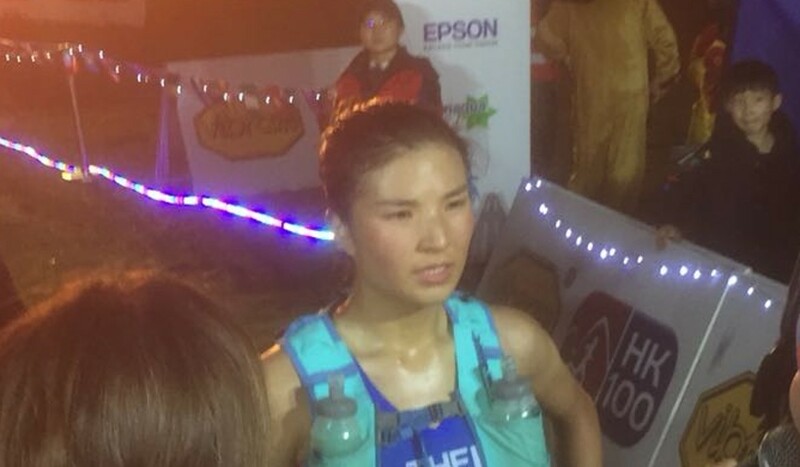 There was a mixed online reaction to the news on Saturday evening that the winner and record breaker of the Vibram HK100 had been disqualified for “accepting outside support”. The title and record was passed to fellow mainlander Qi Min, who crossed the finish line second behind Liang Jing in nine hours and 28 minutes. Liang, from China, took a water bottle from a passing hiker. He was under the impression he had permission to accept the bottle. Either a language barrier or general confusion meant the hiker was not expecting to have the bottle taken, and then Liang threw it away. The official reason for his disqualification was “accepting support outside a check point”, but the online community quickly condemned the runner for snatching the bottle without permission and then littering. American trail runner Sage Canaday was quick to point out Liang would have been aware of the rules. “I’m glad that littering has been taken seriously for once,” read one. “This is the first case of its kind in Asia of a runner getting DQ for littering. And well done to the RD for having the guts to do it,” claimed another. “Great to see RD’s having the b***s to DQ top runners for littering if it does happen,” said a third. Immediately after the decision was taken, race director Janet Ng said they had been very clear on the rules around outside support so anything but a strong stance did not make sense. Many spectators were most appalled by the littering, or the expectation the hiker would pick up after Liang. As our sport continues to attract growing number of runners & opportunities.. its paramount that the elite, commentators, coaches, runners, fans etc speak out to keep integrity in our sport high! We must keep standards very high in our community so newcomers too value the sport! There was a more sympathetic section of the internet who praised Liang’s record run, and gave him the benefit of the doubt. Both Liang and Qi are relatively unknown on the international circuit, making their times all the more impressive, as they shaved four minutes of the record. Yao Miao broke the women’s record by almost 40 minutes.